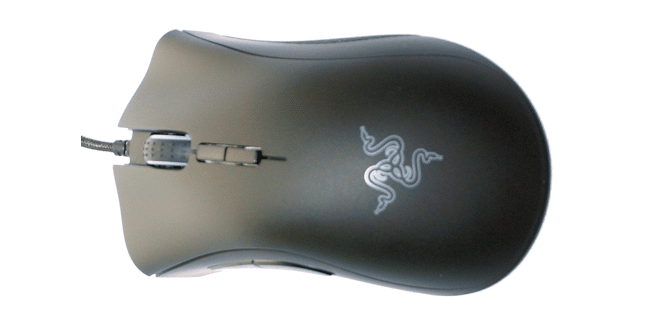 Home » Reviews & Articles » Hardware » Desktop PCs » Razer DeathAdder Elite Review, The DeathAdder Strikes Again! Razer has never hesitates to improve on existing products and remarket them, as is the case with the new DeathAdder Elite. The DeathAdder Elite got a facelift and the most precise Optical Sensor made, a 5G 16,000 DPI scaling sensor that tracks at 450″ per second. The DeathAdder Elite is also Chroma-capable and can produce up to 16.8 Million colors, but as of late, Razer has dropped the “Chroma” designation in the names of products. Rest assured the DeathAdder Elite is a true Chroma product controlled by Razer Synapse and will provide eye popping colors and extreme eSports-grade performance. Todays eBattlefield is wrought with high tech peripherals and much like the battlefields of the past, they loom like area denial mines waiting to take you out of the action. The only response to today’s highly evolved eBattlefield is to arm yourself with equal or better gear. 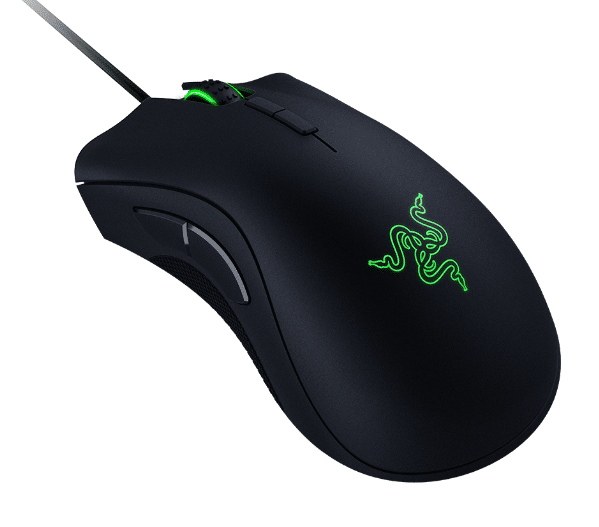 With it’s 16,000 DPI optical sensor, 99.4% resolution accuracy and Razer OMRON switches, you will be hard pressed to find a better battle-ready mouse than the DeathAdder Elite which comes in at $69.99 at the time of posting this review. Now $69.99 might seem a little steep to some people, but look at the cost of each game, the hours spent playing them and weigh the enjoyment of dominating the field of battle with the DeathAdder Elite; the price isn’t that steep. You have to consider the technology cupped in the palm of your hand and the seven fully programmable buttons at your disposal. The DeathAdder Elite comes in at a fly weight of 0.23 pounds (105 grams) and don’t confuse light weight with lack of quality, as the DeathAdder Elite drips quality from every pore. The list of features on this mouse just goes on and on; 1000Hz Ultra polling, Gaming-grade scroll wheel, on the fly DPI adjustments, gold plated USB connector, textured rubber grips and a whopping seven foot cloth-braided cable. Unfortunately the DeathAdder Elite is for righties and lefties will never know the luxury the DeathAdder Elite offers. The Razer DeathAdder Elite is the evolution of the DeathAdder Series of mice and Razer made room for their high precision 16,000 DPI 5G optical sensor and Razer OMRON switches!